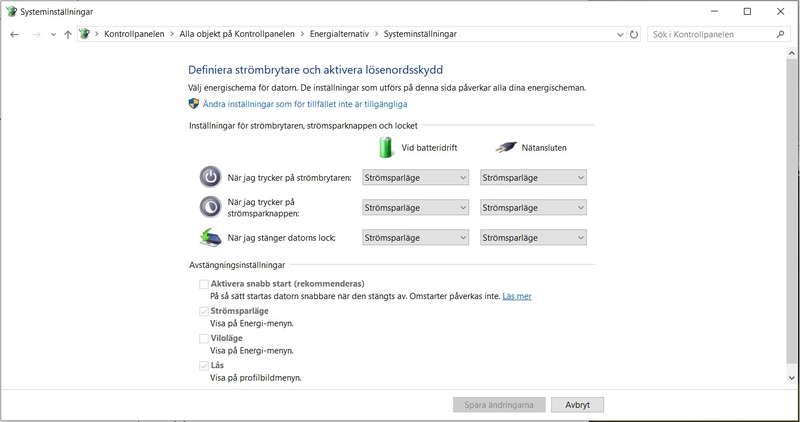 It seems like the option to "disable fast startup" as outlined here has been removed in version 1703. Does this mean that it no longer "hibernates" when shutting down or that the choice not to has been removed? and changed the value to 0 but ... ... notice no difference. I had a look at a fresh 1703 install. The menu has been changed slightly but you can still disable Fast Startup. It's much easier to do from BIBM. Well, could it differ between Professional and Home? I'm running Home and don't have that option since 1703. (To be honest, I never checked while on the previous version.) See the attached JPG. Correct. I have Pro. Standby and I'll install Home and check it. Do you have Hibernation on? That was fast. I made the UFD and installed 1703 32-bit Home. The menu is "almost" identical to Pro. There is a tick in "Turn on fast startup (recommended)"
My conclusion is that disabling Hibernation also disables Fast Startup (and Sleep). Interesting. I did a test with Fast Startup enabled and writing data to a USB external HD from a WinPE. After a shutdown. When I booted into Windows all data on the USB external HD was unavailable as the partition was RAW. I disable Fast Startup and Hibernation. This doesn't disable Sleep. Someone stated that "no two systems are exactly the same" and maybe that's true? I run 64 bit Home 1703 but it shouldn't differ from 32 bit, I think. I looked at BIBM and disabled Fast Startup. This changes the Value of HKEY_LOCAL_MACHINE\SYSTEM\CurrentControlSet\Control\Session Manager\Power from 1 to 0. I next looked in Power Options and Fast Startup was still there but it was not selected. removed Fast Startup from Power Options. I believe our original discussion on this also noted that upgrading to a new version of W10, reset the Fast Startup to the recommended (ON) setting. 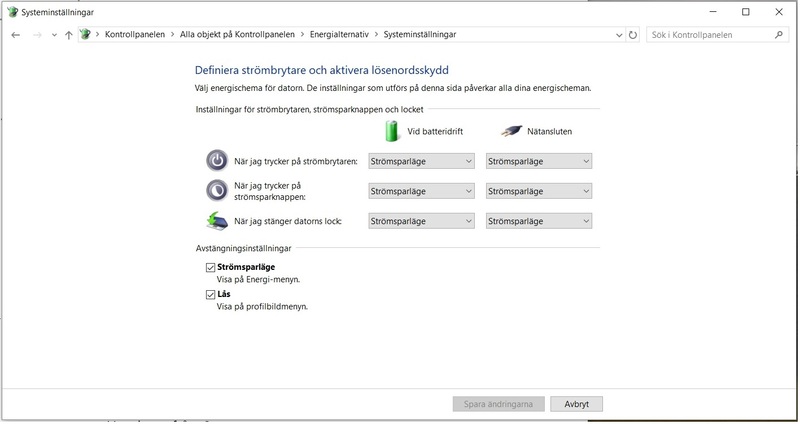 This was avoided by the "powercfg -h off" (disabling hibernation) and it seems like it works ... ... I just have to remember what I've done!